Brian Jamieson (cq) of G.J. 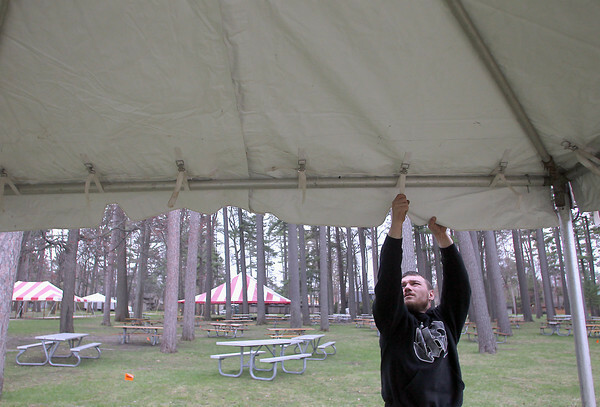 's Rentals helps set up a tent in preparation for Sunday's Northwestern Michigan College BBQ. The 59th annual fundraiser will be held on NMC's main campus from 11 a.m. to 5 p.m., and features food, activities and entertainment.